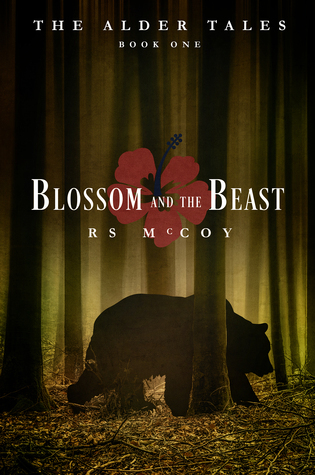 A new paranormal romance from RS McCoy, author of The Sparks Saga, The Luminary Chronicles, and The Extraction Files series. Book One of The Alder Tales. I received a free advanced reader copy in exchange for my honest review. I had absolutely no idea what to expect with this retelling of Beauty and the Beast. I was so worried about it being cliche or so vastly different, and it wasn’t either of those things. It was a perfect mix of old and new. The character development bothered me a bit in the sense that it seemed rushed in some places. Either Blossom was too quick to get over something, or Kaide was too quick to relax….I don’t know. It seemed like there was something missing in their relationship and the way they communicated. I was also a bit annoyed with the repetition of phrases. It felt almost as though they kept repeating themselves and how they felt about each other – Kaide was especially repetitive. It got to the point of being excessive; okay, I get it, she’s beautiful and you regret something. It was the same story every time they hit a new event, him enjoying the moment and then regretting something later. There were also pieces of the book where I highly questioned their decisions. They seemed so sure of themselves in the moment but as a reader I had to doubt them because honestly, some of their choices made me very skeptical that they knew what they were doing. Aside from those components of the story that I wasn’t a huge fan of, this was one of the most creative plot lines I’ve ever read. I was so thrilled with the universe (totems? Come on, that’s awesome), as well as the different lands. It kind of reminded me of Avatar: The Last Airbender, with the separation of the different communities but it was so unique with humans being transformed into animals on their 18th birthday. I was so in love with the plot and the relationship between Kaide, Blossom, Raine and the rest of the supporting characters, I am so excited for the next book in this series featuring Raine herself. The last three pages sold me on this book and gave me immense hope and anticipation for the rest of the series.